phone system? Let us help answer them. What is your current telephone system? Characteristics of POTS might include the following: Name Brand Manufacturer, you purchased it yourself, phone line plugs into standard wall-jack, 4 lines or fewer, No On-Hold Message or Music function. These POTS will need an additional piece of equipment – called a "Coupler" to enable On-Hold Messaging. The "Couplers" have varied specifications and are predicated on the model of your phone. "PBX" (PRIVATE BRANCH EXCHANGE/KEY SYSTEM UNITS (KSU) If you have this you will know, because it is so costly. A PBX serves larger businesses. It uses trunk lines and T-1 Lines. You dial 9 to connect to a line. The aspects that distinguish a PBX from the key system and Hybrid system are the amount, scope and complexity of features and facilities offered. A Key System Unit is a multi-line system typically used in small office environments. A key system is noted for expandability and having individual line selection buttons for each connected phone line. It has the capability to accept T-1 lines and ISDN. If your PBX/KSU is older, it might require additional line cards, paging/music cartridges, retrofits, programming, or upgrading. Voice Mail – Human or automated interaction – the call is intercepted by a "receptionist." If the party is unavailable, voice mail option is activated. Automated Attendant – Starts with a greeting, then the call is directed through a menu of options which can include voice mail. Information Box – No human interaction. Caller chooses different menu of options for information. Voice Recognition Unit (VRU) – Caller communicates to a computer via phone's touch pad or voice until party is reached. Automated Call Distribution (ACD) – Evenly distributes calls to agents. If all agents are busy, a message advises that "all lines are busy – please hold ...." Calls remain in que until answered. Voice calls are sent over a computer network, via broadband Internet connection. Some manufactures include Cisco, NEC, AVAYA, Samsung, etc. A hybrid system is fully digital and can embrace VOIP. A hybrid combines features of both PBX and Key systems. These new Hybrid Systems combine POTS with newer VOIP Technology and are less expensive than PBX. 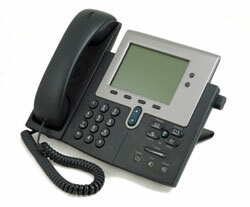 Message On-Hold functions are usually available with these phone systems; they can be set up out of the box. What do your customers hear when on-hold now? NOTHING ... SILENCE ... DEAD AIR ... and their own thoughts about hanging up while being On-Hold. YOUR LOCAL AM/FM RADIO STATION ... Too much chat and endless commercials – maybe by your competitors! It is illegal unless you are paying licensing fees. CD COLLECTION FROM HOME – also illegal unless you are paying royalties. ON-HOLD MESSAGING – always ahead of the curve. Call us! We will gladly check the compatibility of your phone system and help suggest the perfect program for you and your customers. © 2016 AdVantage Telecom, Inc.